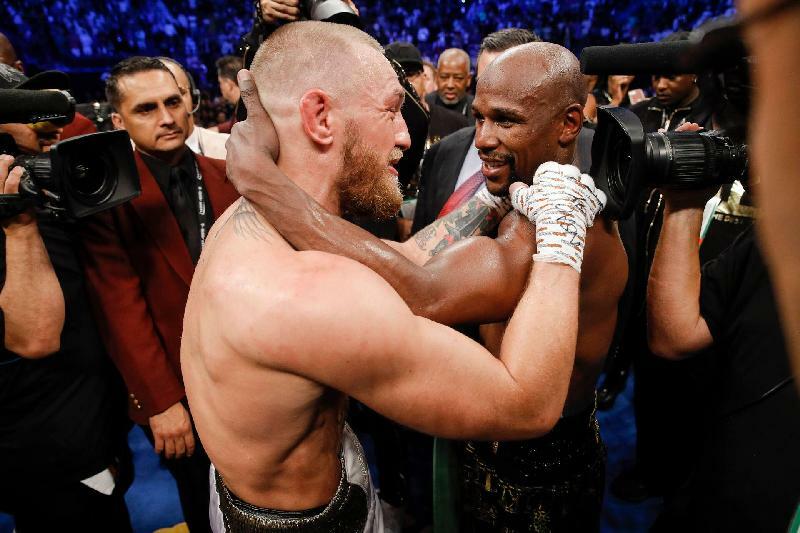 *LAS VEGAS – Future Boxing Hall of Famer Floyd “Money” Mayweather ended his historic career in style on Saturday night with a convincing 10th-round technical knockout victory over UFC mega-star Conor McGregor in the main event of a four-fight SHOWTIME PPV event from T-Mobile Arena in Las Vegas. The 40-year-old Mayweather, fighting for the first time in 714 days, announced after the fight that he will never fight again, ending his 21-year career in style by controlling an all-action fight that thrilled the 14,623 fans in attendance and watching around the world. 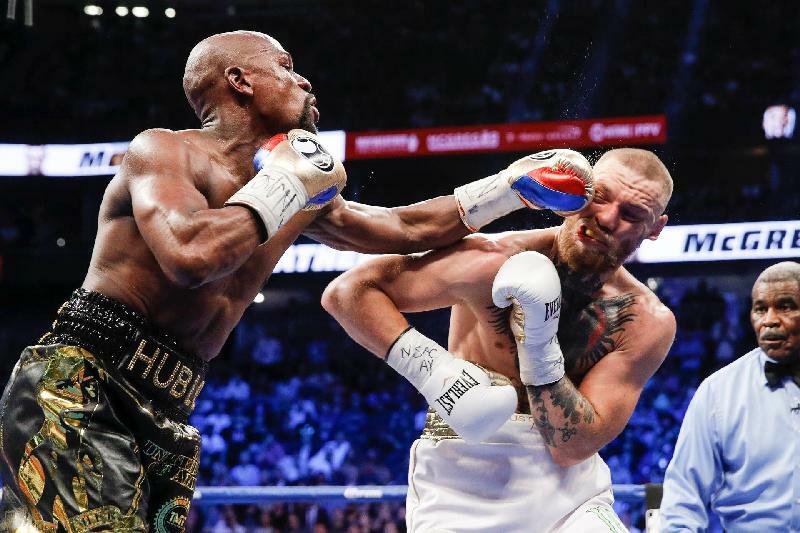 With Mayweather coming forward just like he promised, referee Robert Byrd stopped the super welterweight fight at 1:05 of the 10th round as Mayweather punished McGregor with a series of blows that staggered his weary opponent. With the win, the five-division world champion from Las Vegas becomes the first boxer to finish his career at 50-0, eclipsing the record he had previously shared with the legendary Rocky Marciano. 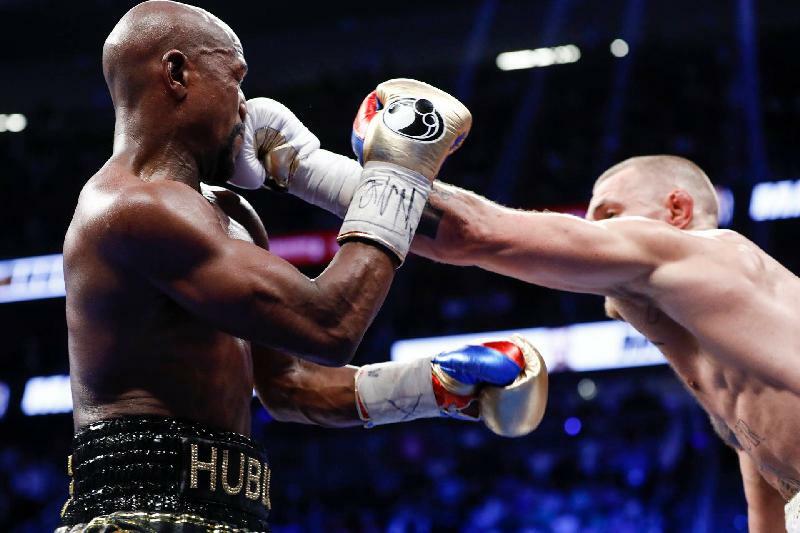 All three judges – Dave Moretti (87-83), Burt Clements (89-82) and Guido Cavalleri (89-81) – had Mayweather ahead on the scorecards at the time of the stoppage. SHOWTIME’s unofficial scorer Steve Farhood had Mayweather ahead by the score of 86-85. Both fighters had their moments in the early rounds. 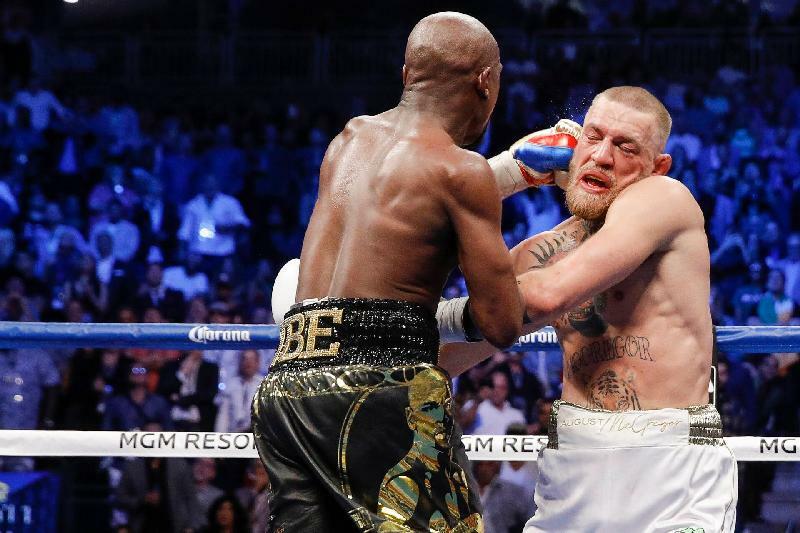 In the fourth round, Mayweather forced McGregor to back-pedal and continued to force the action. At the midway point of the fight, Farhood had given the first three rounds to the more aggressive McGregor, but then rounds four, five and six to the more accurate Mayweather. “Our game plan was to take our time, go to him, let him shoot his shots early and then take him out down the stretch,” Mayweather said. “We know in MMA he fights for 25 minutes. After 25 minutes, he started to slow down. I guaranteed to everybody that this wouldn’t go the distance. 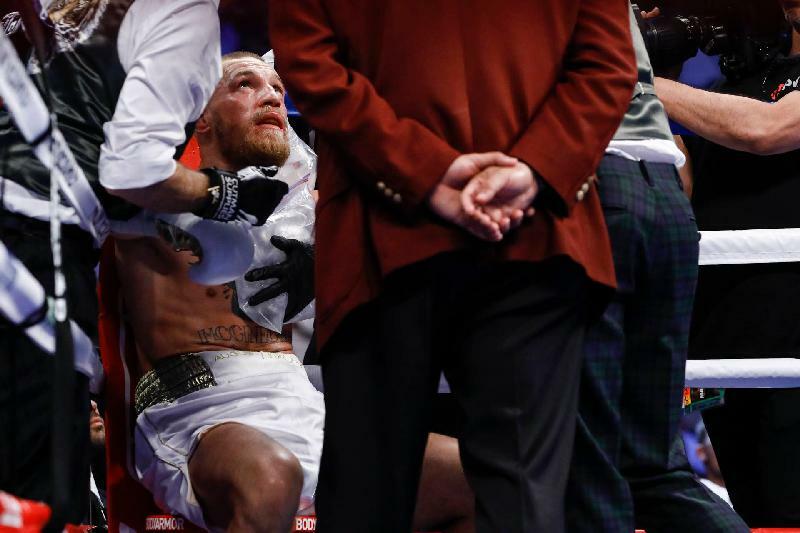 McGregor said he would consider boxing again, and would also return to fight in the UFC. “I’ve been strangled on live TV and came back,” he said. “When you’re in here in the squared circle, everything is different. Let the man put me down, that’s fatigue, that’s not damage. Mayweather was lethally accurate in the final round, landing 20 of 26 power punches before the referee stopped the fight. 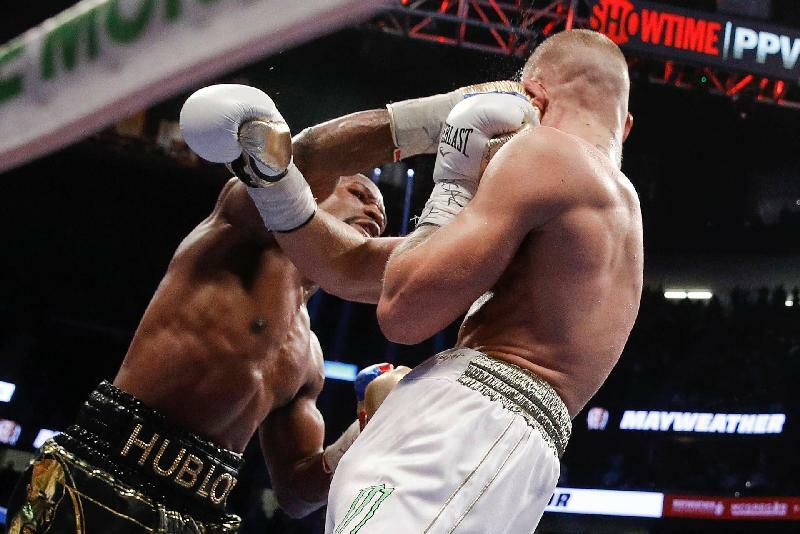 McGregor had a 51-40 advantage in punches landed over the first five rounds but was out-landed 130 to 60 in rounds six through 10 as Mayweather put an exclamation point on the final fight of his career. In the co-main event, undefeated rising star Gervonta “Tank” Davis defeated unbeaten challenger Francisco Fonseca via a controversial eighth-round knockout 39 seconds into the round. Floyd Mayweather vs. Conor McGregor was a 12-round super welterweight matchup that pitted the legendary boxer Mayweather against the all-time MMA great McGregor in the main event of an unprecedented four-fight pay-per-view boxing event. Mayweather vs. McGregor took place Saturday, Aug. 26 at 9 p.m. ET/6 p.m. PT at T-Mobile Arena in Las Vegas. The event was produced and distributed live by SHOWTIME PPV, promoted by Mayweather Promotions and sponsored by Corona. Constellation Brands (NYSE: STZ and STZ.B), a Fortune 500® company, is a leading international producer and marketer of beer, wine and spirits with operations in the U.S., Mexico, Canada, New Zealand and Italy. Constellation is the No. 3 beer company in the U.S. with high-end, iconic imported brands such as Corona Extra, Corona Light, Modelo Especial, Modelo Negra and Pacifico. The company’s beer portfolio also includes Ballast Point, one of the most awarded craft brewers in the U.S. In addition, Constellation is the world’s leader in premium wine, selling great brands that people love, including Robert Mondavi, Clos du Bois, Kim Crawford, Meiomi, Mark West, Franciscan Estate, Ruffino and The Prisoner. The company’s premium spirits brands include SVEDKA Vodka, Casa Noble Tequila, and High West Whiskey. Based in Victor, N.Y., the company believes that industry leadership involves a commitment to brand building, our trade partners, the environment, our investors and to consumers around the world who choose our products when celebrating big moments or enjoying quiet ones. Founded in 1945, Constellation has grown to become a significant player in the beverage alcohol industry with more than 100 brands in its portfolio, about 40 facilities and approximately 8,000 talented employees. We express our company vision: to elevate life with every glass raised. To learn more, visit www.cbrands.com. Chris DeBlasio, Showtime Networks Inc.